Once again, Nintendo shows that they truly do care about their fans. We recently featured a post about Nintendo writing to a fan, but this time they've really upped the ante. 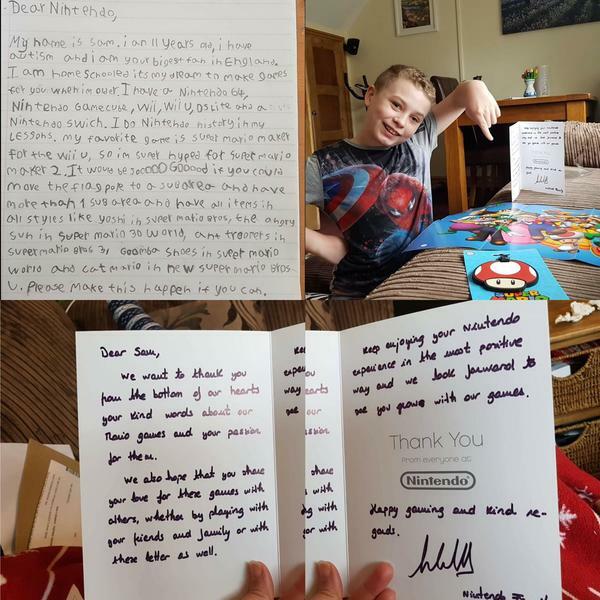 When an 11-year-old fan wrote the a letter, Nintendo replied with a hand-written response thanking him for his support. They threw in some swag for good measure as well! His suggestions for Super Mario Maker 2 are actually spot on. Couldn&apos;t understand a bit of what he said in the letter. Any idea? My name is Sam. I am 11 years old, I have autism and I am your biggest fan in England. 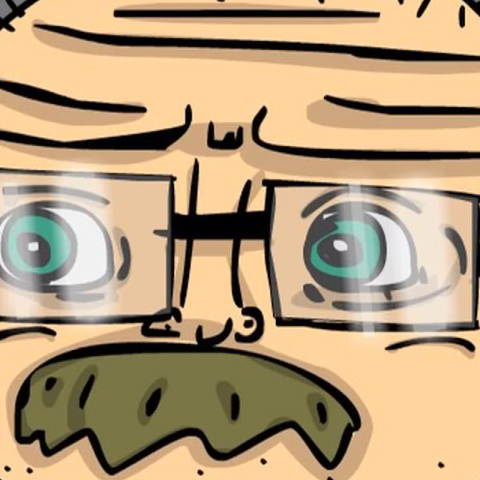 I am home schooled, it&apos;s my dream to make games for you when I&apos;m older. I have a Nintendo 64, Nintendo GameCube, Wii, Wii U, DS Lite and a Nintendo Switch. I do Nintendo history in my lessons. My favorite game is Super Mario Maker for the Wii U, so I&apos;m super hyped for Super Mario Maker 2. It would be soooo gooood if you could move the flagpole to a sub-area and have more than 1 sub-area and have all items in all styles like Yoshi in Super Mario Bros., the angry sun in Super Mario 3D World, ant troopers in Super Mario Bros. 3, Goomba shoes in Super Mario World and cat Mario in New Super Mario Bros. U. Please make this happen if you can." It would be soooo gooood if you could move the flagpole to a sub-area and have more than 1 sub-area and have all items in all styles like Yoshi in Super Mario Bros., the angry sun in Super Mario 3D World, ant troopers in Super Mario Bros. 3, Goomba shoes in Super Mario World and cat Mario in New Super Mario Bros. U. Please make this happen if you can." Well most of that is obviously going to happen. That’s very nice. He has great taste in Mario games. Super Mario Maker is probably my favourite too. I&apos;d say Daddy and/or Mammy have helped educate and immerse him in Nintendo history given the consoles he has and he wasn&apos;t born when some of them came out. Can anyone make out the signature on the Nintendo card? This is very sweet. Kid reminds me a bit of my brother, but my brother&apos;s a bit lower functioning on the spectrum. (I myself have Aspergers, but nobody ever notices. I am fine with this.) Regardless, kid&apos;s got good taste. ::3 Hope he treasures the swag they sent, because that&apos;s really just one of the most awesome things ever. Also, just want to say, excellent parenting as well. It&apos;s always nice to see kids get a well-rounded education on games. The closest equivalent I have had is, my parents actually have shown me many older shows that don&apos;t get reruns or aren&apos;t shown on Nick at Night or whatever, but are really good and wouldn&apos;t have found on my own. Nintendo is so genuinely kind when people make an effort to reach out to them. As a child, I spent HOURS, LITERALLY HOURS on the Nintendo power counselors line getting help as a child from Nintendo employees. I&apos;ll never forget the patience and kindness they showed in helping literally millions of kids and thousands of calls by frustrated kids all day. 45 year old Nintendo fan since 1986. 33 years of fun!